As part of the FDA’s regulatory mission, its Center for Veterinary Medicine (CVM) is responsible for ensuring the safety and effectiveness of animal drugs, including antimicrobials. 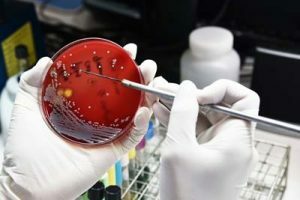 Progress has been made, but additional work is needed to address the complex challenge of antimicrobial resistance, the organization said in a statement. Other issues to be addressed in the new plan include establishing appropriate durations of use of medically important antimicrobials and bringing all dosage forms of medically important antimicrobials under veterinary oversight, stated the FDA. Further, the organization is developing new strategies for promoting antimicrobial stewardship in companion animals. In the near future, the FDA said it will publish a list of all medically important antimicrobials labeled for use in animals that lack a defined duration of use on their labels. In addition, it will share new strategies to improve data collection and sharing to advance evidence-based practices. This past January, the CVM implemented Guidance for Industry #213 with the goal of transitioning medically important antimicrobials used in the feed or drinking water of food-producing animals to veterinary oversight, and to eliminate the use of these products in animals for production purposes, such as for growth promotion. Of the 292 new animal drug applications initially affected by GFI #213, 84 were withdrawn, according to the FDA. Of the remaining applications, 93 for oral dosage products intended for use in water were converted to prescription status; another 115 for products intended for use in feed were converted to veterinary feed directive status. Moreover, production indications (e.g. growth promotion) were withdrawn from all 31 applications that included such indications for use. Last year, the FDA published a paper proposing the use of a biomass denominator to adjust annual data on the amount of antimicrobials sold or distributed for use in food-producing animals in the U.S. The agency also recently launched the Resistome Tracker, an interactive research and data visualization tool for antibiotic resistance genes.